About Anissa DeSanctis with Coldwell Banker Anchor R.E. Remember when Dorothy clicked her heels three times and said “There’s no place like home? ” Well even back then Judy Garland was right! There’s no better place to be, than home! 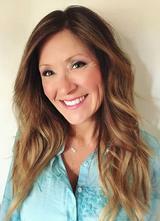 As an expert Real Estate agent for almost 20 years in South West Michigan, Anissa DeSanctis’s primary goal is to understand her client’s needs and to make those dreams a reality. As a lifelong Michigander and resident of Berrien County, Anissa has a comprehensive understanding of the area. Not only is she a real estate agent, but she’s a mom too! So she knows and values the importance of living where you love and loving where you live! 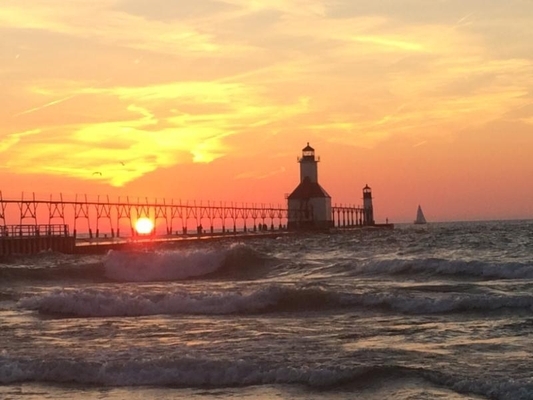 Some of Anissa’s favorite things about living in South West Michigan are the fun summertime festivities and easy access to the best natural resources in the Midwest! From beaches or boating, to restaurants or shopping, to biking or kayaking there’s something for everyone to enjoy! Anissa’s passion and drive for smooth transactions from start to finish has not gone unnoticed. She has earned several awards through the years because of her commitment to her clients. Her hands-on approach and expertise in market knowledge has earned her Top Producer status receiving Silver, Gold, Platinum and Diamond awards from The Multiple Listing System of South West Michigan, Inc. If you want the ultimate real estate professional who is dedicated to getting results and promises to help you with all your housing needs then Anissa is ready to start the journey with you. Whether you are a first-time home buyer or are looking to invest in property you’ll find Anissa’s expertise in all real estate matters. The time is now! Don’t let that dream house slip away! Call Anissa today!! Brokerage Coldwell Banker Anchor R.E. I confirm that I worked with Anissa DeSanctis in the buying or selling of this property.